Funny how you remember the strangest of things. 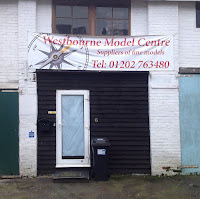 I saw a boy with a radio-controlled car and thoughts of Gary and the modelling shop in Westbourne. Then I remembered that Robert Louis Stevenson had lived in Westbourne. 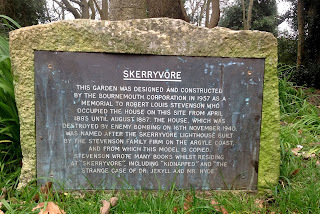 The house he lived in was bomb in the war and the borough has put up a small statue of the light house Skerryvore which the Stevenson family firm had built. From all accounts a rather ordinary house but he wrote Kidnapped and The Strange Case of Dr Jekyll and Mr Hyde. This is all way back in 1885. He died quite young, 44. Not sure why but he was ill on and off all his life. 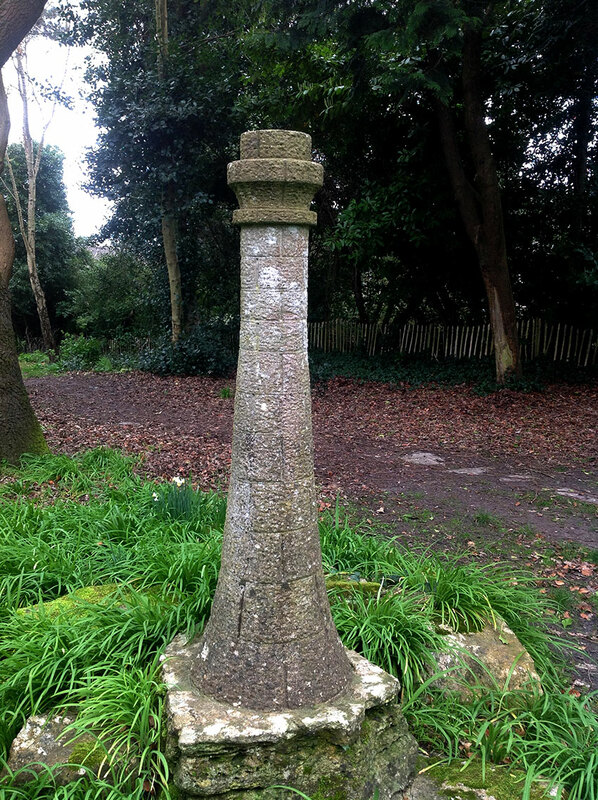 It is so many years ago that I last visited, thinking back it was when Mark, Gary and Angela came over with us. Angela was a wee lass in those days, Mark use to draw the most amazing cars and Angela was just loveable Angela. Loved those days. I digress, Westbourne Modelling Shop, moved to an alleyway. Photos attached. Sorry Gary, I know you loved that shop. Gary still builds models of sorts; exhibition stands are now his chosen medium. Must ask Mark if he still draws. Food warning; do not buy Irish Brown Soda Bread. It is akin to old cardboard. Medical officials warn that if you are tempted, make your way calmly to the Customer Services desk and ask for a small glass of water and a chair to sit on. Do not think of Irish Brown Soda Bread. Think of happier times and when you know you are strong again, you should proceed with your shopping. However, it is also advised not to go near the bread aisle until you are completely confident you will resist the temptation to buy that, that.... you know what I am talking about. Urgh. Irish brown soda bread. Why???? I have seen the damage soda bread can do to a man, well done for providing this public serivice warning.